DORAL, Fla.— Two copies of a fake Time Magazine cover that featured a picture of Donald Trump and a large headline praising him have been taken down from the walls of Trump’s golf resort here outside Miami, a few days after The Washington Post revealed that the cover was phony. On the wall of the resort’s Champions sports bar, the spot formerly occupied by the fake magazine cover was empty. Only a pair of thumbtacks remained on the wood-paneled wall. Two hotel executives interviewed by The Washington Post said they had been “instructed to take down the artwork by our corporate team.” They would not say where the fake covers had gone. They spoke on the condition that their names not be used because they were not authorized to speak to the news media. Earlier this week, The Post found evidence that the phony covers had been hung in at least eight Trump clubs, including the Mar-a-Lago Club in Palm Beach, Fla. In at least two of them — Trump golf clubs in Ireland and Scotland — the cover had already been taken down by the time The Post story was published on Tuesday. 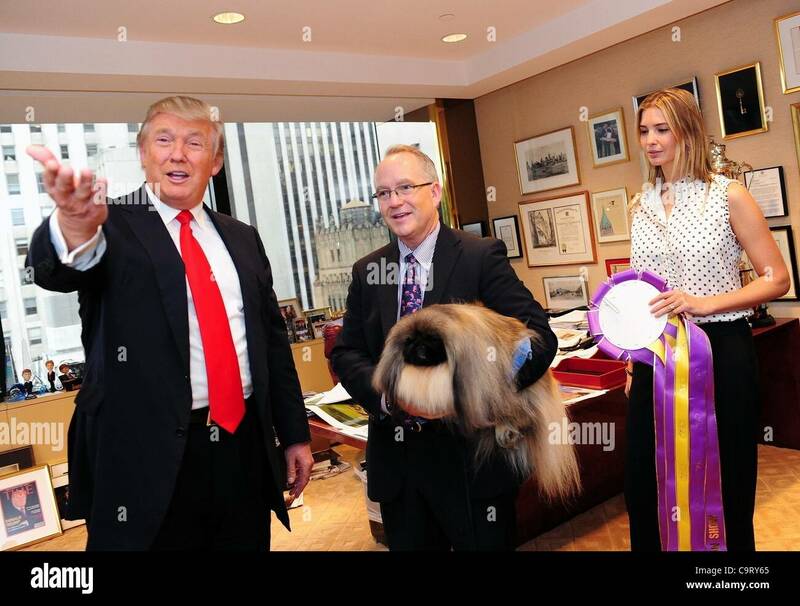 The fake also, apparently, made it into Trump’s personal office in Trump Tower in Manhattan. But it’s not clear if the cover was ever hung on a wall: A photo taken in 2012 shows it sitting on the office floor. On Tuesday, after The Post’s story on the fake cover appeared online, a spokeswoman for Time said the magazine had requested that the Trump Organization remove all the fake covers from its properties. The phony Time cover — dated March 1, 2009 — was discovered in one of Trump’s clubs by a reporter last week. The cover was dominated by a large photo of Trump in a suit and purple tie. “Donald Trump: The ‘Apprentice’ is a television smash!” the big headline said. It was a literal piece of fake news. The cover contained several telltale errors: The red border did not match the width of Time’s usual border. The headlines ended in exclamation points, which is not Time’s style. And there was no actual Time issue with a cover date of March 1, 2009. It’s still unclear who actually made the fake cover, or whether Trump himself even knew it was a fake. The bar code on the front of the cover appears to have been taken from an online tutorial, posted in 2010 by a graphic designer in Peru, showing how to make a fake Time magazine cover. The Trump Organization has not responded to any questions about the fake Time cover submitted by The Post this week — including a new set of questions, submitted Thursday afternoon, asking where else the fake cover had been taken down.